A masterful electro acoustic. It's about time you experienced everything that a guitar should be. The Martin DRS2, Natural is exactly that. Martin have poured every drop of their guitar crafting ability into making this one of their best performing models yet. It offers terrific tone, amazing amplification, and perfect playability. Embrace a tonal range that will never fail to delight. Sapele, sitka spruce, and select hardwood in the DRS2's construction give you brilliant tone at any pitch. You'll enjoy superb playing comfort thanks to a tapered neck. And you can plug in and play with tremendous clarity anywhere thanks to a Fishman pickup. A fantastic instrument in every way. An electronic system that retains your natural acoustic warmth and resonance. The Martin DRS2 comes fitted with a superb Fishman Sonitone preamp that delivers everything you play with industry-leading clarity. 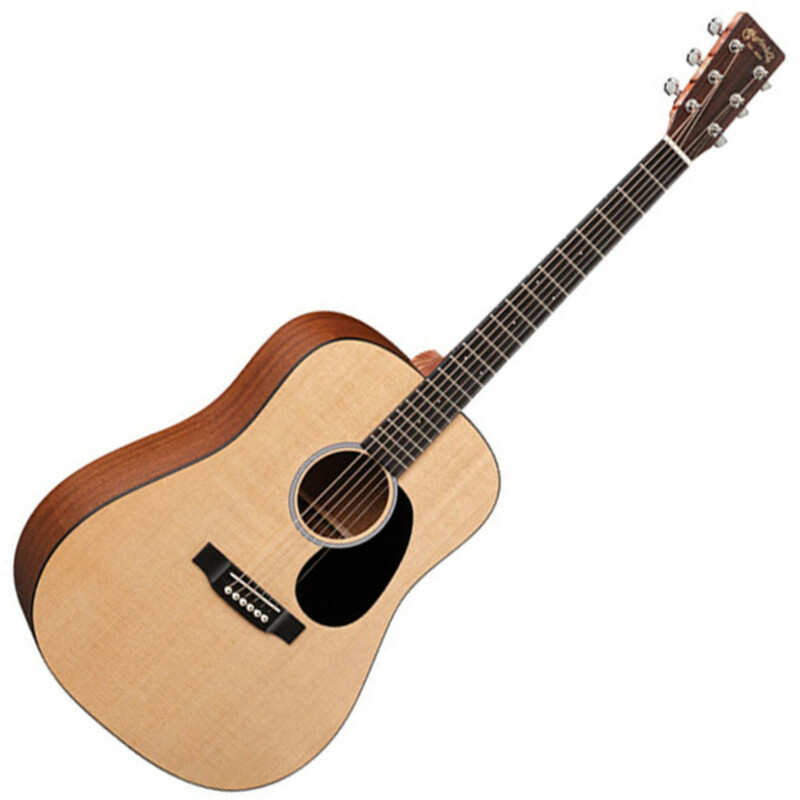 Many electro acoustic pickup systems fail to provide authentic acoustic sound when playing at high volume. This is not a problem you'll ever have with the DRS2. The Sonitone's active electronic pickup system is designed to communicate your guitar's exact voice at high output. This makes the guitar superb for live performance in larger venues. It's an instrument that'll never make you sacrifice warmth or fidelity. Enjoy massive sound even when you're not plugged in. The DRS2's dreadnought body size gives tremendous depth and richness to your playing. The large profile of the dreadnought size is ideal for giving a full voice to your acoustic playing, making every note sound beautifully pure and natural. So when you find yourself in a situation where performing with an amp isn't possible, you can still enjoy sound that you can be certain will be heard clearly. The Martin DRS2 is a guitar that covers everything. Some electro acoustics can deliver brilliant sound at one pitch, but will struggle to properly communicate notes at the opposite frequency. This will never happen with the DRS2. Martin have equipped it with a premium mix of different tonewoods to ensure your music sounds full and defined, wherever you're playing along the guitar's scale. Sapele wood used for the guitar's back and sides will give your treble notes a bright, airy quality. You'll enjoy a broad dynamic range courtesy of a sitka spruce top. Meanwhile, experience magnificent depth at the low-end and clear mid-range tones thanks to a dense select hardwood neck. Feel free to play at any pitch without worry of your sound ever being anything less than flawless. Your best performance yet. With the DRS2, Martin have created a guitar that sits at the zenith of playability. You'll enjoy comfort while you're playing like never before. The guitar's high performance taper neck ensures your hand always sits in a natural position at all points along the neck, making it easier for you to hit even the most difficult notes. That's just the beginning. The DRS2 has been given Martin's exclusive "Pleking" treatment. This innovative process from Martin tests the guitar's exact performance under actual playing conditions using a computer controlled device, which then highlights what needs to be done to enhance the guitar to playing perfection. This means string buzzing is completely eliminated, intonation is flawless, and strings will be perfectly spaced. Experience an instrument that's entirely tailored to perform for you.